The indoor season comes to an exciting conclusion this coming weekend when our two U18 teams compete in the national indoor club finals. The Girls go into their finals at Whitgift School in South Croydon as East champions and in Pool B they play Isca (West 1, 2.45) and Wycombe (South 2, 5.05) on Saturday and Beeston (Midlands 1, 9.35) and Brooklands (North 2, 11.55) on Sunday before, hopefully, the semis and final. In Pool A the teams are Stourport (Midlands 2), Surbiton (South 1), Canterbury (East 2), Taunton Vale (West 2) and Fylde (North 1). Squad – Tor Findlay (captain), Alice Gooch (GK), Katie Crawford, Charlotte Seaman, Lauren Rowe, Alice Woollatt, Anna Tighe, Sophie Child, Olivia Locke, Rob Sorrell (coach), Andrew Woollatt (manager). The Boys (as East runners-up and defending national champions) travel to the Phoenix Leisure Village in Telford and in Pool A they play Surbiton (South 1, 2.10) and Ashmoor (West 1, 5.40) on Saturday while on Sunday they face Timperley (North 2, 10.10) and Lichfield (Midlands 2, 12.30). Hopefully they will progress into the semis and final. The Pool B teams are Beeston (Midlands 1), Doncaster (North 1), Canterbury (South 2), City of Peterborough (East 1) and Taunton Vale (West 1). Squad – Myles King (captain), Will Graver (GK), Sam Paterson, Jonty Herschel-Shorland, Sol Barker, Matt Bensly, Ben Kilburn, Kieran Peters, Jack Hobbs, Archie Winter, Jolyon Summers, Vincent Leruth, Richard Larkin (coach), Stuart Peters (manager). 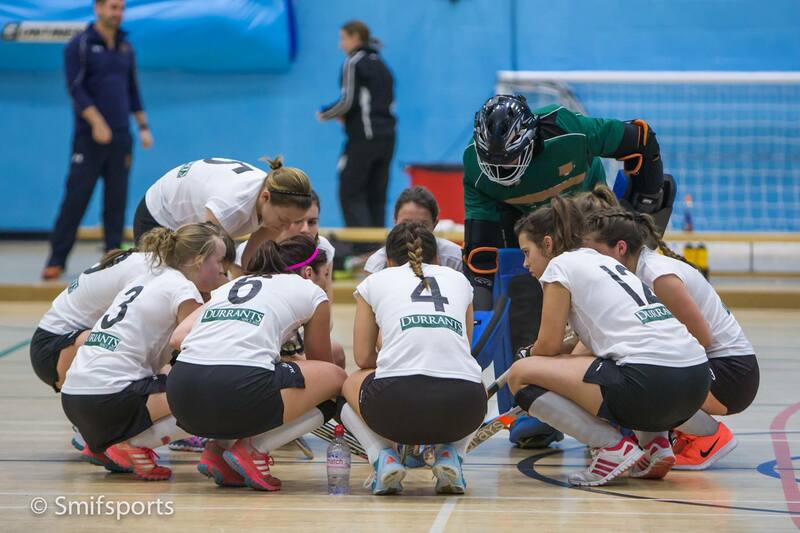 The indoor season is over for the Ladies’ 1sts and Men’s 1sts after they battled hard over the weekend (the second of two) in Bristol and Nottingham respectively for the two wins both teams thought they would need from their four games to virtually make sure of retaining their Division One status in the national indoor league. In the event both achieved their target with the Ladies – who were without the injured Annie Nunn while welcoming Lucy Belsey back from her injury – managing to do so with four points. With two wins on Saturday the Men did so more comfortably than the Ladies who after heartaches from letting slip opportunities in their first three games had to beat Surbiton in the very last game of their championship to avoid relegation on goal difference which they did coming from a first minute goal down to win 5-2 with goals by Lauren Rowe (2), Maria Andrews (2) and Sarah Brook. Earlier in the weekend they had disappointingly lost 3-2 (Lauren R, Maria) to Bristol Firebrands before drawing 5-5 (Sarah 2, Anna Tighe, Maria, Lauren R) having lead 5-2 at half time. In their penultimate game they lost 3-2 (Lauren R, Sarah) to Leicester who got their winner in the last minute after Magpies had recovered from two goals down. 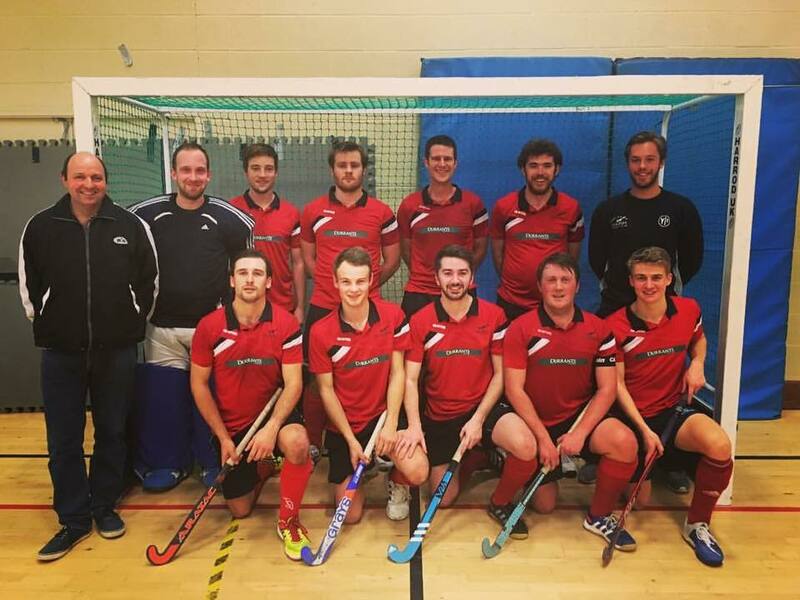 The Men started their weekend with a 6-0 win over Cannock with goals by Ben Wright 3, Richard Larkin, Thomas Ridley, Tristan Baynes and followed up by beating Sheffield Hallam 6-3 (Chris Barber, Jack Knight, Tristan, Ben (2) and Simon Hipwell). On Sunday they lost 11-4 (Chris 2, Richard, Ben) to Brooklands MU before (with their Div 1 status now assured beyond any doubt) they scored a last minute goal to draw 3-3 (Jack 2, Chris) with Beeston to leave them in 6th place in the nine team league on 10 points. Congratulations to both our squads including, of course, the coaches and managers. Let’s hope the club can build on these successes next season. Only two of our twelve scheduled outdoor league games survived the wintry spell last weekend and both resulted in excellent victories for the club. The Ladies’ 2nds, after their early start and long trip to Lincoln to play Lindum at 12 noon, were keen to get their 2017 programme off to a good start. They began the game strongly and created some good chances but were unable to find a way passed the in-form Lindum goalkeeper. Without their injured co-captain Plum Sweet Magpies continued to work hard as a team but despite numerous chances for them the game was still goalless going into the closing stages. The elusive goal came when Jess Howland (in her words) “fired in a stormer of a goal with four minutes left on the clock”! Well done to Jess and all members of the team on their best performance of the season. Their game and that of the Men’s 2nds scheduled for this Saturday has been postponed until Saturday 18 February in view of the U18s playing in the national indoor finals. Meanwhile the Ladies’ 5ths had a shorter distance to travel but they still had to go to the other end of Nelson’s County to take on Pelicans’ 2nds. After their disappointing loss before Christmas to Norwich Dragons 5ths captain Jose Tibbenham and her team needed a good performance to get back to winning ways to maintain their promotion bid and this exactly what they delivered. Molly Warnes, Alice Wiseman and Emily Woollatt were outstanding in a strong defence and this allowed the team to attack from the back creating two first half goals for Jose taking her total to the season to fourteen. Magpies continued to dominate after the break winning 2-0 with a strong team performance. On Saturday third-placed Magpies host fifth-placed Reepham (12.15) who beat them 2-1 early in the season. CONGRATULATIONS and very best wishes to Annelli Clarke and Simon Bardwell on the birth of their son (8lbs 14 ozs) on Tuesday 10 January. All three are well with the name of the young man yet to be decided. The Men’s 1sts will need to get back to outdoor mode when they travel to play promotion favourites City of Peterborough on Saturday (NB. 11.30) and they will need a win to retain any realistic promotion prospects of their own. Hopefully their hosts will also be affected by U18 indoor calls! League leaders Men’s 3rds host Norwich Dragons 2nds (3.15) while the Ladies’ 3rds are at home to table topping Watton (1.45) so both teams should be in for a testing afternoon. The Men’s 4ths will be without Bob Skinner, who unfortunately chipped a bone in his wrist playing for the Men’s O50s against City of Peterborough, when they play Norwich Dragons 3rds (1.30) away while the Ladies’ 4ths will be hoping to complete the double over Evergreens when they entertain them at 3.30. We have now gratefully received 32 ‘Promises’. The target is a minimum of 50 so we still have some way to go to achieve this number. Please see the club’s website for more information and for full details of the event including how to offer ‘Promises’ or items for auction. If you are thinking of kindly donating a Lot you might wish to think of gardening, theatre tickets, riding lessons, use of a holiday cottage for a week, lifts to the theatre, use of a caravan, music lessons etc. Or you might have an item for auction. This is the club’s major fund raising event of the season. The Men’s 5ths are also at home when they play Sudbury 3rds (12.00) who are having a tough season while the Men’s 6ths face a tricky game away to mid-table Watton who beat them 3-2 at Weybread in early October. 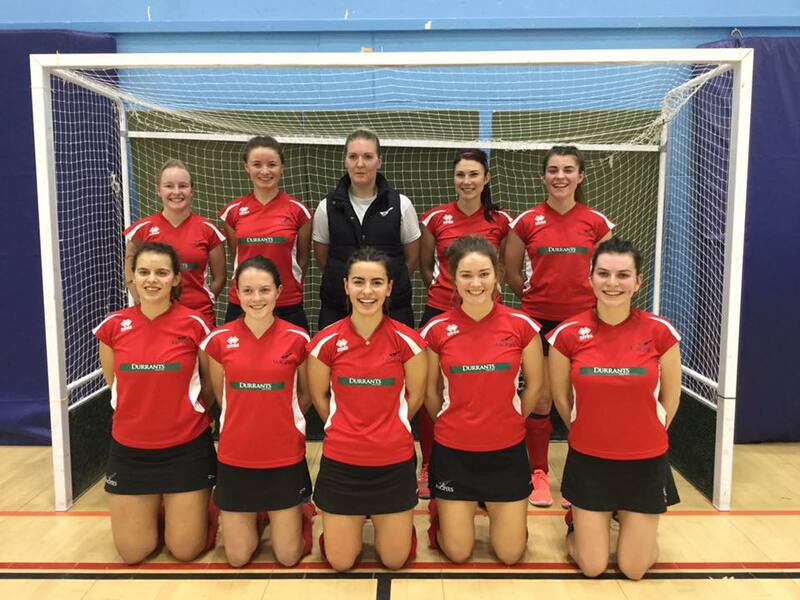 The Ladies’ 6ths also have a considerable challenge when they travel to play Evergreens 2nds (10.00) who beat them 4-1 earlier in the season while the Ladies’ 7ths are at home to UEA 4ths (10.15) who conceded their first meeting of the season. The Girls’ Development, and league leaders, are away to third placed Norwich Dragons (2.15) while the Boys’ Development have a vital away test against unbeaten Norwich Dragons ‘A’ (3.45) who are three points above them at the top of their league. In a very busy weekend for the club the Mixed team starts their bid for the EH Trophy on Sunday with an away game against Bedford (12.30 ) while also on Sunday (10.00 – 2.00) the club hosts a friendly tournament involving Girls’ U14 teams and Girls’ U14 Development teams from Blue Hornets, Bury St Edmunds, Cambridge City, Ipswich and Magpies.